Introductory material on the Greco-Roman world, including its history, society, culture, religion, and literature, in relation to the expansion of early Christianity and the New Testament documents. The flagship collection here, under development since 1987, covers the history, literature and culture of the Greco-Roman world. Other collections include art & archaeology as well as collections of Arabic, Germanic, 19th century American, and Renaissance sources. Be sure to create an account ID while on campus. The Thesaurus Linguae Graecae (TLG) is a research center at the University of California, Irvine founded in 1972 to create a comprehensive digital collection of all surviving texts written in Greek from antiquity to the present era. TLG has collected and digitized most surviving literary texts written in Greek from Homer to the fall of Constantinople in 1453 CE. These are included mainly for those of you who are needing to verify whether someone has already written on your proposed topic/thesis. Some Ph.D. dissertations may be worthy to reference in your work, especially if there's otherwise little or no published material on your subject. A library of over 20,700 theological thesis/dissertation titles representing research from as many as 70 different institutions. These are your core resources for secondary literature in biblical studies and theology. Be sure to check Full Text Finder for periodicals that may be fulltext in another database in our collection. Full Text Finder will also indicate the print subscription in our library, if we have it. When the record states that an embargo is in place for a certain length of time, the publisher has refused to allow the digitization of the articles for the current months, year or years. If we have the print subscription, then you may photocopy or scan articles to PDF and sent to your email. If we don't have the print, then you may request articles via InterLibrary Loan from another school library by filling out the ILL form on our home page or choose the ILL tab in this LibGuide for easy access. 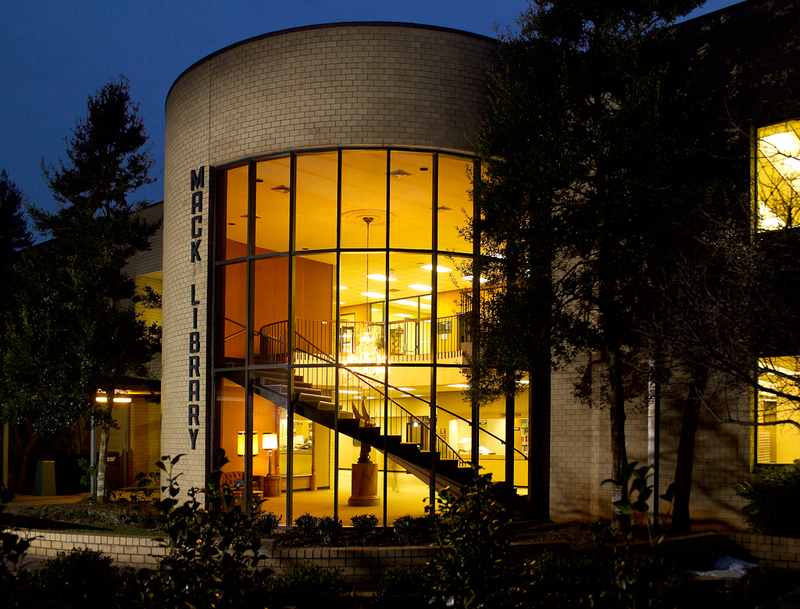 Full Text Finder lists all electronic journals and ebooks cited in electronic databases subscribed to by Mack Library in addition to our print titles. Periodical titles and ebooks may be searched alphabetically by title or by subject. Academic Search Complete is the world's most valuable and comprehensive scholarly, multi-disciplinary full-text database, with more than 8,800 full-text periodicals, including more than 7,700 peer-reviewed journals. In addition to full text, this database offers indexing and abstracts for more than 13,600 journals, and searchable cited references for more than 1,400 journals. Content: Abstracts; Full TextThe database features PDF content going back as far as 1887, with the majority of full text titles in native (searchable) PDF format. Searchable cited references are provided for more than 1,460 journals. ATLA Religion Database with ATLASerials combines the premier index to journal articles, book reviews, and collections of essays in all fields of religion with ATLA's online collection of major religion and theology journals. Updated monthly, ATLA Religion Database (ATLA RDB) contains over 1.8 million indexed records covering the research literature of religion in over 60 languages. Most coverage spans from 1908 to the present, while an ambitious retrospective indexing project provides citations of select titles back to their original publication date. Bibliographic records represent scholarship on major religions, faiths, denominations and languages. Arts & Science Collections I - XV and Life Sciences Collections are available for your research needs. Focused on New Testament studies and biblical theology. Contains approx. 38,000 article abstracts, 1,200 review abstracts, and 13,500 book abstracts. This guide has been adapted (with permission) from materials prepared by Gregory Morrison, Head of Reference at Buswell Memorial Library, Wheaton College (IL).